Glenn Beck must be reading our blog because he’s siding with Julian Assange. Beck has taken it a step further and suggested that the CIA is orchestrating the demise of Assange. Oh Beck, you crazy conspiracy theorist you but really – thanks for reading the blog and hey, thanks for the support. 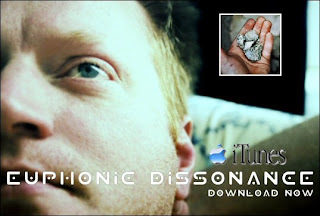 I’ll bet Glenn Beck loves listening to Euphonic Dissonance. Bet we’re all over his iPod. Meanwhile in Washington the people that Glenn says are lying to us are rushing to burn Assange at the stake. Mitch McConnell labeled Assange a high tech terrorist. Wow, that sounds pretty serious Mr. McConnell. So you’re suggesting that guy with the shifty eyes – the one that I see at Starbucks posting things to his blog via his Macbook – he might be a terrorist? I knew that guy was no good. My CPU is a neural net processor; a learning computer. I’m also a HIGH TECH TERRORIST. I wouldn’t mind being called a high tech ninja. That would be cool. 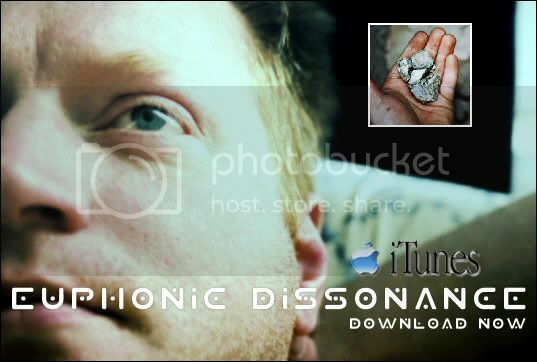 Euphonic Dissonance is keeping a very close eye on this story. Why? Because it could potentially change free speech and the internet as we know it. Mitch McConnell said it himself – if they can’t stop this journalist under current law then they’ll make new laws that will stop him. This could be the biggest change of the internet in the history of the internet and we are alive to witness it happen. I just pray that Assange wins because I fear the outcome if he doesn’t. Today we live in a free internet world. Free to post what we want. Free to download what we please. Free to read what we like. Free to say what we wish. AND IF WE DON’T LIKE IT WE CAN GO TO A DIFFERENT WEBSITE!!! Our current internet is the embodiment of free speech and I think to change it would be a travesty. It seems that our government is hell bent on destroying this amazing thing it has created and creating a new internet that they will police. Is this really what we want from our elected officials? It’s all so cleverly disguised as something else and it’s hard for the American people to see the truth behind this story – but Glenn Beck sees it – I see it – thousands of hackers see it – why don’t you? I’m glad the we live in a country that allows us to speak freely about anything we want. I think we should fight anyone that is trying to take that right away. There are a lot of things wrong with this country but we have some power just through our ability to speak our minds. Government cannot have total control as long as we have this right. I believe that the printed word is sacred….regardless of the contents!!! I think it’s funny how the christian right are always looking to pull certain books from libraries but no one would hear of it if I turned around and said the bible should be pulled from the shelves because “Song of Solomon” is pornographic. So many contradictions and so little time. Here’s just a small sampling of the aforementioned (straight out of the holy bible). And who doesn’t love a girl who has two young roes that are twins?